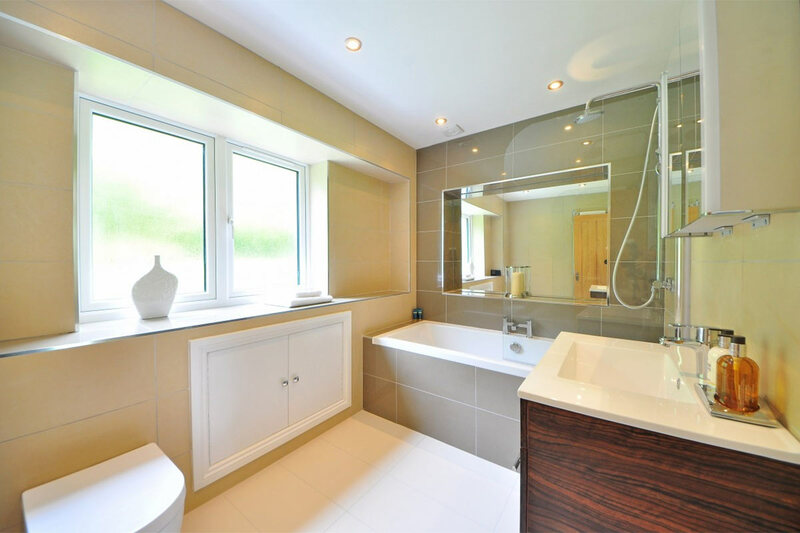 When designing a new property, the bathroom is often somewhat overlooked, but in reality, it’s used by pretty much every member of the household, every day. Creating a luxurious bathroom for your property developments can really up your game, which is why we’re sharing five key tips to help you along your way. When it comes to creating a luxurious bathroom, it can be tempting to search up images of standard luxurious bathrooms and incorporate what everyone else is doing into your own. But this is unlikely to work. If the house you are developing has a fairly ordinary theme to it, then this approach will work, but chances are the house has its own unique theme stemming, perhaps from its history or from the area around it. Beachfront developments will likely have a beachy theme, and it would be slightly odd if when you walked into the bathroom it suddenly became very harsh and modern. Sticking with your theme will add an extra element of luxury and keep the home feeling cohesive. Nothing’s worse than stepping out of a perfect shower into a freezing cold bathroom and rushing to put a dressing gown while still dripping wet. Temperature control within the bathroom can make a subtle yet powerful difference to the feel of the room and create an added element of luxury. It will also entice prospective buyers, as very few bathrooms have underfloor heating or air-con installed. Installing underfloor heating or an HVAC unit in a bathroom will make it more luxurious, but always hire a reputable contractor to do the work. For example, make sure your HVAC technician has qualifications from HVAC Schools In Missouri, or whatever area where your business is based. No one wants to look around their 10th home viewing of that day and see the same bathroom they’ve already viewed ten times with a slightly different arrangement. Thinking outside of the box and shocking your prospective viewers slightly can work in your favor, making the property stand out in their minds, and giving it an ‘edge’. So, think about what you could do to the bathroom that has rarely been done before, and try to incorporate some individual elements. We don’t often think of storage as a key element to a bathroom, but it is commonly overlooked. The key to storage solutions in a bathroom is to have plenty, but don’t make it obvious. Having large, obtrusive storage set-ups can take away from the rest of the bathroom, so it is key to have storage that fits in with the rest of the décor and blends seamlessly, perhaps doubling up and having more than one function. Bathroom cabinets with mirrors or sink stands with under-sink storage are common solutions. Don’t forget to pay attention to the details when designing a bathroom. It can be all too easy to get wrapped up in the big picture and then forget how crucial the small steps are. The key to luxury is having a well-thought-out bathroom, where even the smallest pieces are of the finest quality and installed properly. Features such as handles, toothbrush holders, faucets, and lighting all come together to add to the feeling of the bathroom, and when done well, make it a much more luxurious room. Bathrooms are a tricky space, they need to be both functional and beautiful, but with a bit of forethought they can be a luxurious place to spend time in. Hopefully, this inspired you to start paying more attention to the creation of the bathrooms in your investment properties.